We’re thrilled to announce that Automated Intelligence will be committed to raising funds for Action Mental Health NI throughout 2018. The charity was selected via staff vote and raises important awareness for mental health for adults and children. What is Action Mental Health? 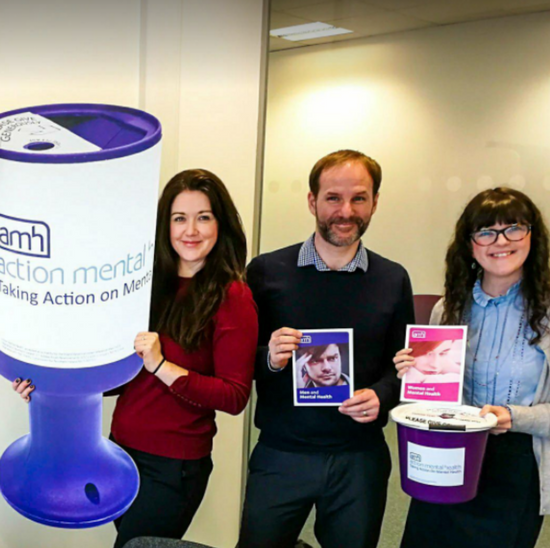 Action Mental Health was founded in 1963 and is a local charity that works to enhance the quality of life of people living with mental health needs or a learning disability in Northern Ireland. The charity works hard to deliver services and projects across the country for all members of society. Its health promotion takes place in schools, cross-border countries and with local employers. The driving force behind Action Mental Health is assisting people to remain in work, as well as helping to provide skills and sourcing opportunities for people who want to re-enter the workforce. They also have specific projects for people, older people, people living with alcohol abuse, employees, employers, and people managing long-term conditions. Each year at Automated Intelligence, we select a charity to sponsor. We then use this as the perfect opportunity to get involved in a variety of fundraising events. From running the Belfast Marathon to baking cakes to raise funds and jumping out of aeroplanes…no challenges is too high for the Automated Intelligence team! Then at the end of the year, the company matches whatever funds have been raised by these intrepid endeavours. Action Mental Health does vital work raising awareness and providing help to those dealing with mental health needs. That’s why we’re thrilled to be raising money for such a fantastic cause. Our first fundraising opportunity? A cake sale of course!